The Lee Precision Breech Lock Challenger Kit includes the Breech Lock Challenger Press and one Breech lock quick change bushing. It provides a complete powder handling system, with the most convenient and repeatable perfect powder measure. 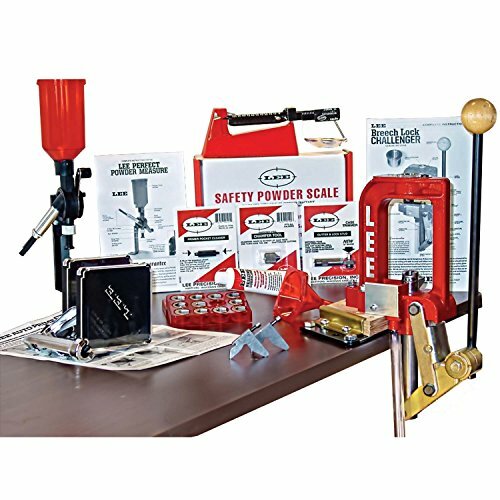 Plus the Lee safety scale, the most sensitive and safest of all powder scales and fill your case with the included powder funnel. Case preparation tools include a cutter and lock stud to trim your cases. Lee chamfer tool chamfers the inside and outside of the case mouth and a tube of premium sizing lube is included. A small and large primer pocket cleaning tool completes the case preparation package. If you have any questions about this product by Lee Precision, Inc., contact us by completing and submitting the form below. If you are looking for a specif part number, please include it with your message.